- Targi Kielce has the great privilege and honour, in its modest scope to be a part of the creation process of Poland’s image and position on the international arena. We have promoted Polish companies, domestic engineering solutions and ideas for 26 years. This year, Polish companies account for more than half of the exhibitors - said Andrzej Mochoń, Targi Kielce President of Board at the opening ceremony. 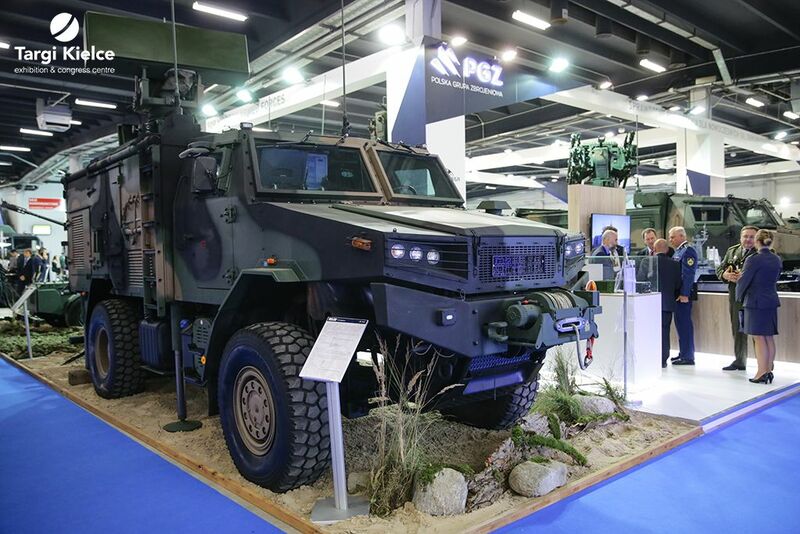 The MSPO 2018 was marked with the 100th anniversary of the Regaining Independence, which is why Poland was the Lead Nation for the second time in the exhibition history. The domestic companies’ expo stands and the Armed Forces Exhibition made strong and clear references to Poland’s independence jubilee. The Polish Armaments Group is the MSPO Strategic Partner; Targi Kielce signed the cooperation agreement under which this important alliance continues for the next 3 years. The International Defence Industry Exhibition was complemented with the 24th International Logistics Fair LOGISTYKA . The MSPO and MTL exhibitors used 27,000 square meters in the 7 exhibition halls of the Kielce exhibition and congress centre and in its outdoor expo grounds. 2018 trade shows were the showcase for Exhibitors from: Australia, Austria, Belgium, China, Czech Republic, Denmark, Finland, France, Spain, the Netherlands, Ireland, Israel, Japan, Canada, South Korea, Lithuania, Germany, Norway, Poland, Serbia, Singapore, Slovakia, Slovenia, the United States, Switzerland, Taiwan, Ukraine, Hungary, Great Britain and Italy. The USA, Germany, Great Britain and France enjoyed most numerous companies representation. The global defence industry leaders also joined the expo to present their products and services. The 2018 exhibition showcased a record-breaking number of helicopters. Apache AH-64, Mi-8MSB, Mi-2, Black Hawk, Capercaillie, SW-4 Solo Ruas were on show at the outdoor expo grounds, the Guimbal cabrio G2 training helicopter was presented in the B Expo Hall. from Poland and abroad. MSPO is first and foremost the place to do business and talk shop. Therefore, the fact that 2018’s Defence expo saw 11 contracts and agreements signed is a further proof of the MSPO prestige and recognition. The most important are the three agreements between the governments of the Republic of Poland and the United States, with the total value over USD 19 million. These are the WISŁA programme executive agreements - the American specialists will train the Polish soldiers and deliver the 8 MIDS terminals. 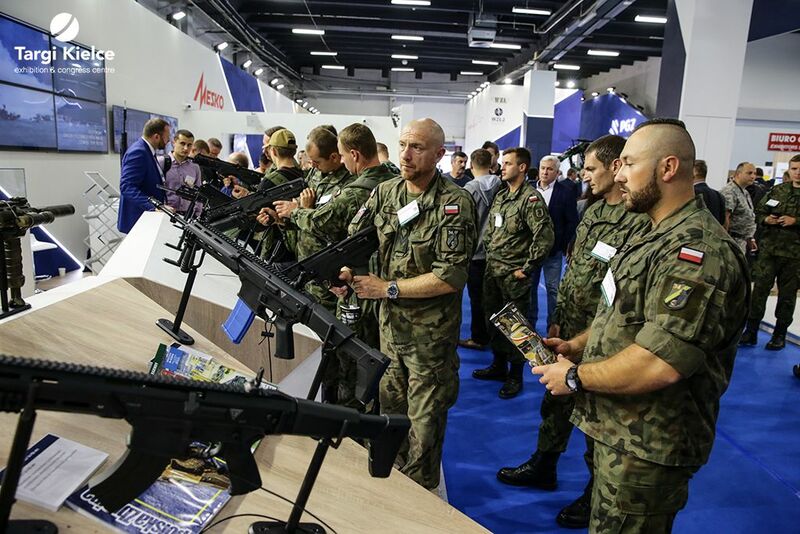 The Polish Armaments Group finds the expo a success-story too; this has been demonstrated with the contracts signed at MSPO. PIT RADWAR SA and the Armaments Inspectorate signed the contract for the supply of 11 modernized Odra radars. The contract value is over 500 million PLN. The next contract was concluded between the Armaments Inspectorate, Research and Development Centre for the Maritime Technology S.A CTM for the development of the "Mobile Mid-Range Navigation System SRN" for the Polish Navy. The official signing ceremony of the cooperation agreement between PCO SA and Elbit Systems Electro-Optics Elop Ltd. from Israel was also a part of the trade-show. The cooperation encompasses research and development activities, SPECTRO XR optoelectronic heads production and services as well as the DIRCM - the aircraftprotection systems. The Polish Armaments Group in conjunction with the Military Aviation Plant No. 1 signed a letter of intent with the Boeing company on helicopter programs cooperation. 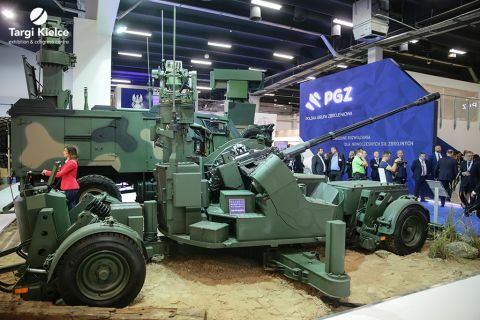 The Military Institute of Armament Technology also signed contracts at the MSPO - one with the Bydgoszcz Electromechanical Plant BELMA S.A. on production of the GX-2 war-heads for the combat, unmanned aerial vehicles. The other document signed by WITU at the official ceremony held within the scope of the MSPO was the agreement with the Israeli company Rafael Advanced Defence Systems. This is a cooperation scheme encompasses SPIKE missile ageing tests; SPIKE missiles have been provided for the Polish army since 2004.
on defence cooperation with Ethiopia. At the expo the minister also held talks with his counterparts from Nepal and Moldova. Targi Kielce also signed the agreement on a further three-year cooperation with the Polish Armaments Group; the MSPO Strategic Partner. Over 1000 soldiers prepared and manned the Armed Forces Exhibition. The 2018’s unveiling was held under the banner of “Defence - Cooperation - Efficiency”. In Targi Kielce there were over 30 units of the General Command presented in Targi Kielce - Land Forces, Air Forces, Navy, Special Forces, Inspectorate of Support for the Armed Forces, and Territorial Defence Forces and Military Police. 380 units of equipment and exhibits were on display for the visitors to become familiar with. 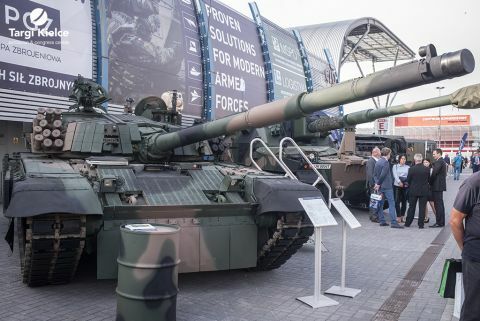 The showcased included the Leopard 2 and Twardy tanks as well as Rosomak armoured vehicles, self-propelled RAK mortar, Poprad anti-aircraft system elemets. The exhibition featured also military universities and academies, education centres, technical institutes, and the Polish Space Agency. Almost 13 thousand square metres were used as the showcase for the Open Days presentations. This year's MSPO edition also saw the début-award presented by the Minister of Entrepreneurship and Technology for the Best Polish Arms Exporter. Mrs. Jadwiga Emilewicz resolved to award in this year's Special Award ex aequo to two companies, which obtained the same highest scores - "NITRO-CHEM" Chemical Work SA from Bydgoszcz and WB Electronics S.A / WB from Ożarów Mazowiecki. The award of the President of the Targi Kielce Management boars was presented for the second time - the Prometheus - the undetectable Dronoid with dispersive coating was recognised this year. 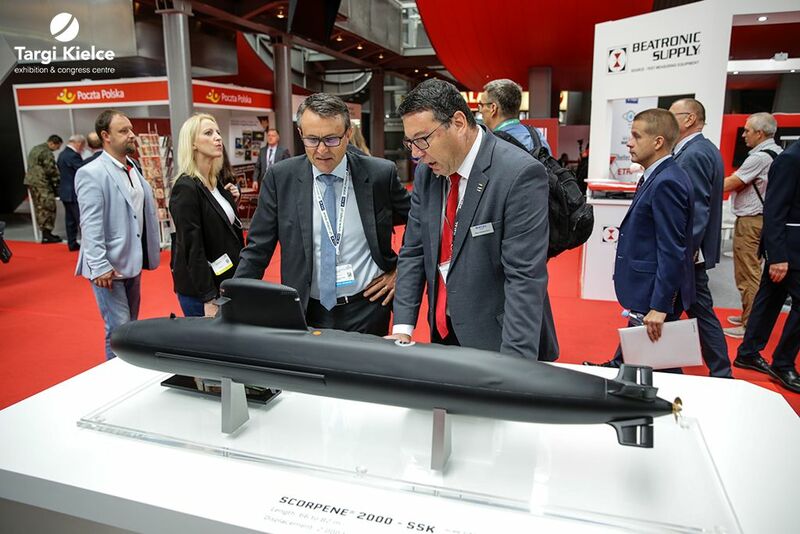 MSPO 2018 was supplemented with 25 conferences, debates, seminars and official meetings at company stands; all these focused on the most topical issues. On September 5 Targi Kielce hosted an international conference with representatives of voluntary defence organizations from Poland, Lithuania, Latvia, Estonia and the United Kingdom. The "Voluntary defence organizations contribution in strengthening the defence capabilities of the state on the centenary of regaining independence" meeting brought together representatives of the Ministry of National Defence, members of the Parliament’s and the Senate’s Committee of National Defence, representatives of military academies and pro-defence organizations from the Baltic States and the United Kingdom. The conference was a discussion platform for most important issues related to the state's defence capabilities and international cooperation. On the first expo day, the "Fourth Division’s role and significance for the state defence system" conference organised by DEFENSE24 was held. The session brought together outstanding business-insiders. There was also the traditional Meeting of Secretaries of State with defence industry representatives; the Ministry of Foreign Affairs, the Ministry of National Defence, the Ministry of Investment and Development, the Ministry of Science and Higher Education and the National Centre for Research and Development were represented at the session. "The defence industry's R&D contribution towards armaments development and modernization" national scientific conference brought together scientific milieus for problem-focussed discussions which complemented the MSPO agenda. "Doing business with the army – a safe way to earn money" conference was held already for the sixth time. Organised by the Polish Army Support Inspectorate, Polish Security Forum Foundation and Targi Kielce, this annual discussion panel features the most important issues related to Polish army supplies and budget. On the first day of the expo, i.e. September 4, over 400 uniformed classes students from the Świętokrzyskie and the neighbouring provinces solemnly inaugurated the school year. The ceremony was graced with the presence of the Minister of National Defence Mariusz Błaszczak. The second day of the International Defence Industry Exhibition was marked with dynamic show-presentations - the Centre for Foreign Missions Preparations of the Land Forces Command in Kielce Bukówka was the presentations stage for about 100 soldiers from the 1st Battalion of the 17th Mechanized Brigade. The helicopter support was provided by the 25th Air Cavalry Brigade. The show presentation was targeted at military attachés and media representatives. Police dog training shows, shooting demonstrations, presentations of various martial arts and operational groups skills - this and much more accompanied the MSPO Open Days held for the second time in Targi Kielce. Not only the exhibition of heavy-duty military equipment was the Open Days’ programme highlight, but there were also antique "Star" vehicles on show. The iconic, restored and refurbished vehicles, including Star 25, Star 200 and Star 600, generated an avid interest of visitors. On 8 and 9 September, the Polish Armed Forces Exhibition and a part of the Polish Armaments Group display attracted 16 thousand people. MSPO Open Days were dedicated to the 100th anniversary of Regaining Independence. This event proved to be an excellent civic education lesson for families with children and enthusiasts of militaria and history. 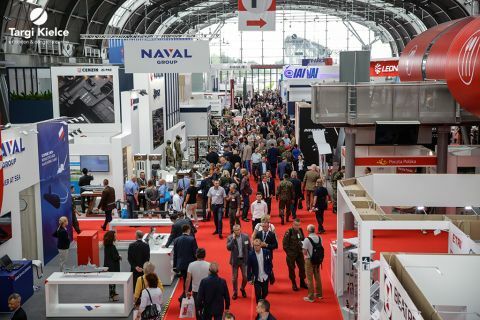 We are looking forward to seeing you in Targi Kielce for the 27th International Defence Industry Exhibition MSPO - 3-6 September 2019.